Chick-fil-a sauce is EASY to make at home with only 3 staple pantry ingredients! It’s one of the tastiest dipping sauces for chicken, waffle fries or nuggets! Search no more for a Chick-fil-a sauce recipe! I don’t know what gets any closer than this! It surprises me many recipes call for dijon mustard or honey when none of those ingredients are found on the label of Chick-fil-a packets. However, after observing the ingredient list, I realized most of the ingredients were found in 3 major sauces. It’s super easy to make this dipping sauce, folks! 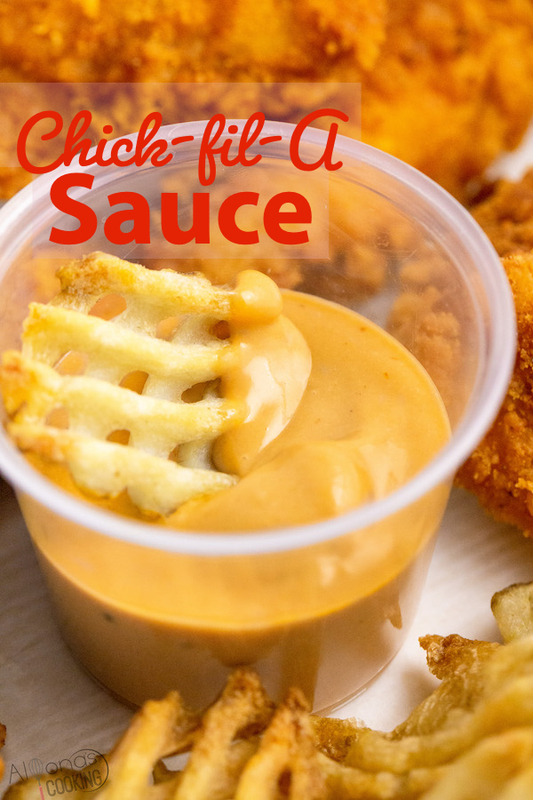 Only three ingredients and you can make Chick-fil-a sauce at home (aka chicken dipping sauce. ) Although there’s nothing wrong with using sources to get a better idea, I got testing and came to what I think is super close! What does Chick-fil-A sauce taste like? 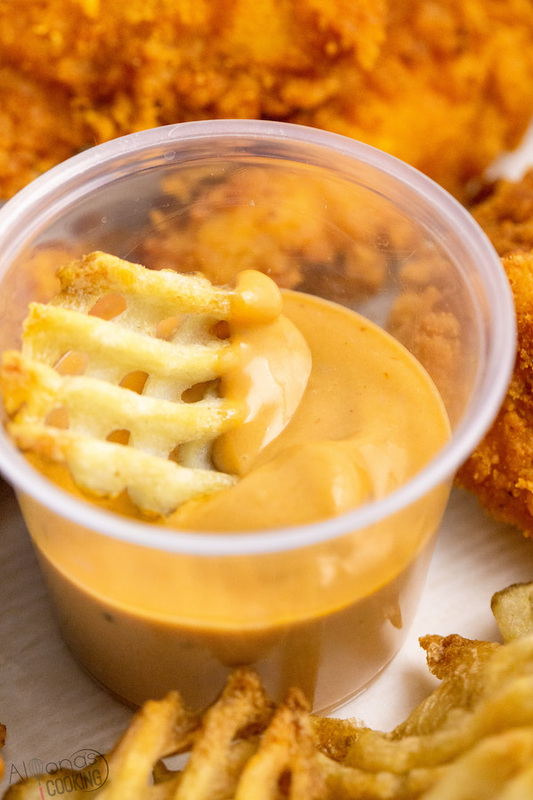 Chick-fil-a sauce is sweet, tangy and smoky. It has a rich yellowy orange hue and darkens as it sits open. What are the ingredients to make Chick-fil-a sauce? BBQ Sauce– gives a richer hue to the yellow mustard and mayo and is what gives the sauce it’s smoky flavor. Yellow Mustard– is the tanging agent and a little goes a long way. Mayo- is the creamy ingredient to make this sauce come together nicely and since it has sugar the sauce is set from any additional sweeteners. 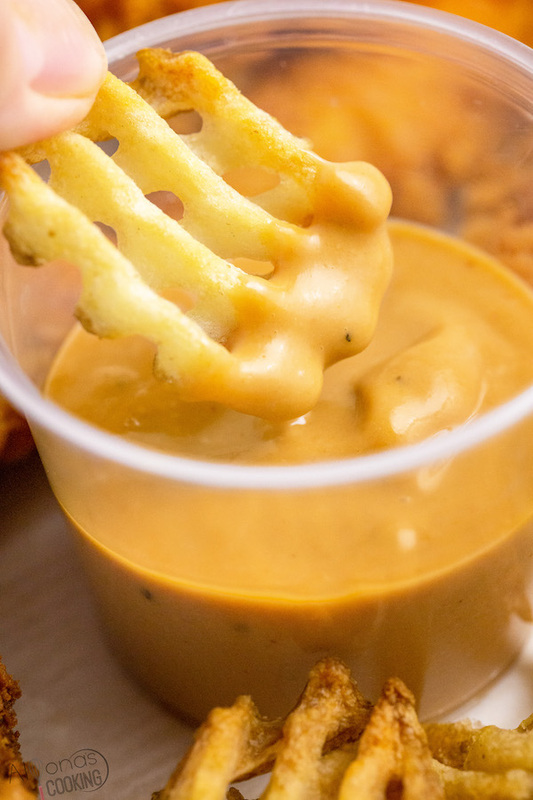 What can you dip into Chick-fil-A Sauce? Chick-fil-A is a fast food restaurant mainly known for it’s fried chicken. 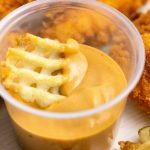 Many menu items revolve around deep fried chicken so fries, nuggets or chicken sandwiches pair beautifully with this dipping sauce. Chick-fil-a sauce is EASY to make at home with only 3 staple pantry ingredients! It's one of the tastiest dipping sauces for chicken, waffle fries or nuggets! Use as a dip for fries, chicken or nuggets. Could not taste any difference when testing side by side with chick-Fil-a restaurant bought sauce. Great work; thank you for your diligence in testing and creation of this easy recipe! You are welcome thank you for the review!